Having been informed that the battle over who had discovered the coolest thing on the internet this month was getting a little out of hand, we are going to try to keep this round-up of them a little bit more mellow than the usual blow-by-blow description of the open warfare that takes place with inevitable regularity in our Slack channel. So now let us all very calmly scroll down and look at the things that we found to be the coolest in March. Here in the labs we are absolutely fascinated with nostalgia, not only because it is such a powerful driving force in the human psychology, but also because of our interest in design history and the ways that old things can evoke emotional responses that new things can’t hope to tap into. The new film “Ready Player One” is banking heavily on nostalgia for all of the old movies and games that comprise “geek culture” and in its efforts to stoke up those feelings of nostalgia, the producers have done something quite clever on the film’s website, providing a free and playable version of the classic bird-back-fighting videogame Joust. Even if you have never experienced this particular game before, there are pretty good odds that it is going to evoke a sense of nostalgia for the 80s era of videogame design. Warts and all. With this little game the film’s PR department have actually hit two birds (with tiny knights on their backs) with one stone. Recalling not only the happy memories of the communal experience of the old 80s arcade game, but also the thematic recreation of that game – which was probably far more widely experienced by modern audiences – that was included in the MMO World of Warcraft. There is no point on the emotional spectrum of the average human being where consuming chocolate is not appropriate. Whether you munch on it furiously, nibble at it with tranquillity or gorge on it in a bout of misery, chocolate is always the appropriate response. So it was very kind of the lovely people at Astor Chocolate to produce a range of chocolate bars tailored to suit specific moods. 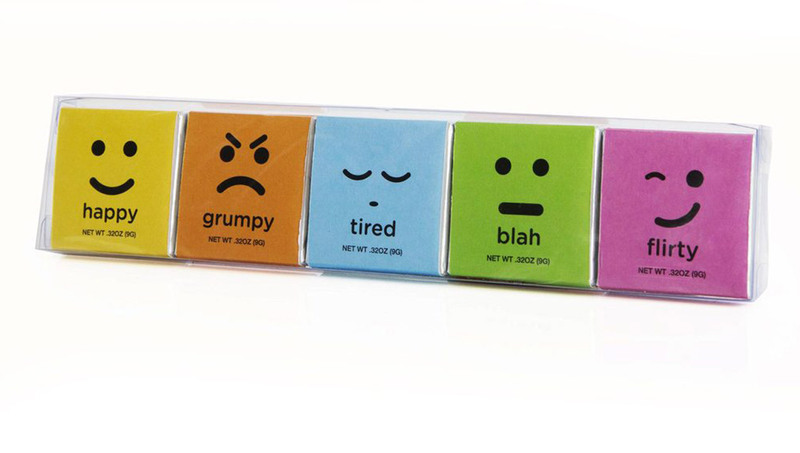 Whether it is some nice bitter dark chocolate for when you are grumpy or some invigorating espresso coffee for when you are tired, they have an option to suit every mood. Although we still aren’t 100% clear why almonds are considered silly. The simple, bright coloured design of the range’s packaging combined with the fact that it is extremely tasty chocolate helped to bring Moodis Chocolate to the top of our list of cool things for this month. There is a lot to love about this upcoming movie, from the punny title to the silly concept, but the stop motion animation is really what won us over. You would expect that the people who work on the cutting edge of digital technology would be completely enamoured with CGI, but there is a quiet but solid respect for physical effects around the labs. The unique physicality that stop-motion brings to this movie provides the natural clumsiness of canine movement and gives it a sense of quirky fun that might otherwise have been lost under the crushing weight of a fairly grim sounding plot about an infectious animal quarantine ripping family pets from their owners loving arms! Now that you have calmly experienced this list, that the people in the labs definitely were not screaming at each other about, come and join us again next month for the another round of the coolest things that we have found in the world!